NASCAR making 'baseline' brain scans mandatory pre-season for 2014 would seem a great move, long overdue in this branch of the sport, and really a no-brainer. But, uh, not everyone it seems is onboard yet. Brad Keselowski, for one, has questions. "I think it's one of those things where we'll have to see," Keselowski muses. "I don't want to call it a negative, but at this point I haven't seen where that's going to be a positive for this sport. "We're going to learn together, I guess." The Indy-car series has been giving drivers baseline mental tests for years. NASCAR 'recommended' it this season. 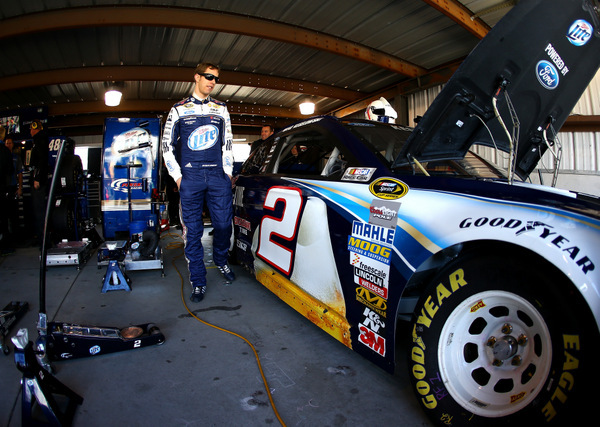 Keselowski says he's never had a baseline test. "I've been dinged, I've hit some walls...but I've never had the baseline test. 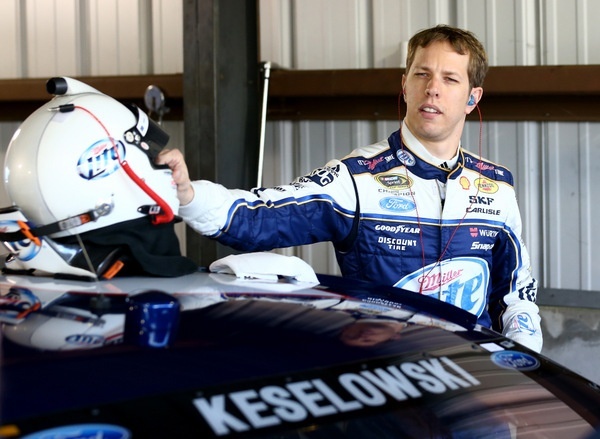 I'm trying really hard to keep an open mind to it," Keselowski says. Why in the world would any driver not want to have a baseline test? "Because doctors don't understand our sport," Keselowski says bluntly. "They never have, and they never will. "Doctors aren't risk takers. We are. "That's what makes our sport what it is. And when you get doctors involved, you water down our sport. "I'm trying to be open-minded to the possibility that they can help us, but past experience says no." Wow, now that's an odd take, isn't it? Especially after the well-publicized issues in the National Football League....over the cumulative impact of multiple concussions. "An NFL player doesn't walk on the field and say today might be the day where I die," Keselowski says. "He doesn't make a decision when he gets out on the field that could affect the health of others. "That's a pretty distinct difference. "He makes a decision whether or not if he takes another hit that he’ll be able to enjoy his livelihood with his kids. "We're on a whole other level as race car drivers." Keselowski's thinking here may need some thinking about. "This conversation is relevant to someone who is actually suffering from an injury," Keselowski went on. "But as it pertains this particular item -- which is having a test done, and trying to make the sport safer -- it's yet to be seen how it will affect us." "I have about 100 of them," Keselowski says. "Which is why I'm kind of going to wait and see... because my understanding is that NASCAR is still under a wait-and-see, and that they'll play it out. "It's no different than the race cars. "If you have a test, and you come back later and you score five percent worse, is that OK? Is it 10 percent? Is it 11? Is it one? "There's a tolerance to everything we do in this world. There's not a part on our race car that isn't built to a tolerance. There's not a part on the space shuttle that isn't built to a tolerance. "The same thing could be said for this particular 'field.' What's good? What's bad? What's the number? "That's really what is relevant to the conversation. "But if there isn't a number that's good or bad with this style of testing, then it's a waste of time. "It's just another subjective field for doctors that don't understand our sport. "I don't like doctors in our sport." Keselowski does have some dose of reality in this area: He was once held out of a Talladega Nationwide race because his carbon monoxide levels didn't meet specs. "I was held out of a race. I did get in the car at the last minute... but it's subjective at best. "I had a carbon monoxide rating of five parts per whatever, I don't know the exact numbers. And I was allowed to get back in the car at the very last minute. "The interesting thing was we tested some of our crew guys throughout the remainder of that season in 2010, and we saw 'eights' and '10s' with guys that just walked through the garage. So where does it stop? "Does that mean we have to test all the crew guys? "This is not the field for doctors. Let them play in their arena and I'll play in mine." Submitted by KenB on Sat 10/26/2013 - 09:32. I like Brad, but I'm kind of getting sick of his big mouth, know-it-all attitude on EVERYTHING. Why on Earth would you be against this? He's just making himself look stupid once again. Submitted by mrclause on Sat 10/26/2013 - 10:41. When I first read Brad's statements on this topic I kind of went, darn here goes Brad again, speaking before he thinks. Well after 24 hours and rereading it, he's got a pretty good train of thought. What is it that a driver fears most? The thought of not being in his race car on race day! It's pure torture to watch someone else driving your car because you can't! 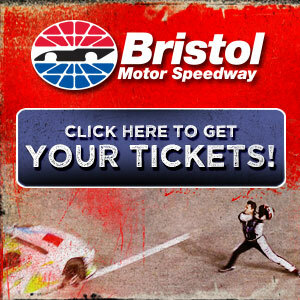 Why else would a driver climb in his car with broken hands, wrists, feet and ankles, remember Ricky Rudd racing with his eye\'s taped open at Richmond? Yes, concussions are a serious matter and need to be monitored. But both the baseline testing and any follow up testing needs to be thought out in great detail and done under very strict medical guidelines. I'm thinking right now that maybe a panel of at least three doctors vs a single doctor, be the decision makers. Decisions should not come from the Ivory Tower. There is yet another sticky widget in this that must be taken into consideration. The "ripple down" effect on sponsors, teams, drivers.Because of NASCAR being all about the greenback dollar, how are all three of the above going to deal with the financial pressures of taking a driver out of any car for 1-2-3-4-5-6-7-8-9-10 races. All three operate under contracts with each other. For that reason alone any decision must be kept out of the NASCAR sledgehammer, reactionary, decision making. A panel of at least three doctors, they being the sole decision makers keeping the BZF team of inept decision makers totally out of the picture. Driver+doctors= decision making. Brad's words may not always come across directly on point but, his thought processing isn't that far off.